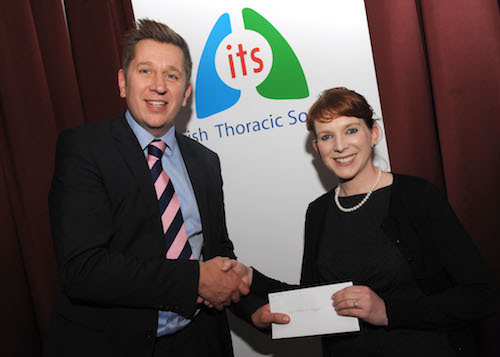 Receiving the award for Best Oral Presentation for her presentation Is Gremlin causing havoc in idiopathic pulmonary fibrosis at the ITS Annual Scientific Meeting is Dr Sinead Walsh, St Vincent’s University Hospital with Mr Patrick Buckley, Boehringer Ingelheim Ireland. 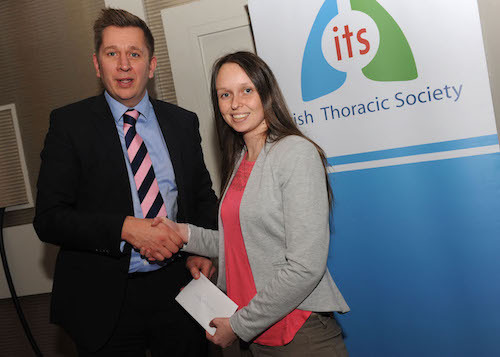 Dr Walsh also accepted the award for Best Poster Presentation on behalf of Katherine Gaynor and N Murphy, of the Conway Institute UCD and St Vincent’s University Hospital Dublin, for their work Altered Expression of bone morphogenetic protein accessory proteins in pulmonary fibrosis. 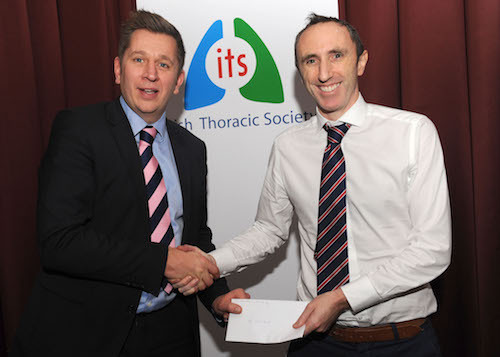 Receiving the runner up award for Best Oral Presentation for his presentation A study to assess the prevalence of exercise induced bronchoconstriction asthma and atopy in intercounty hurlers is Dr Eoin Hunt, Cork University Hospital, with Mr Patrick Buckley, Boehringer Ingelheim Ireland. Receiving the runner up award for Best Poster Presentation for her work Alpha 1 Antitrypsin augmentation therapy corrects neutrophil membrane structure cell activity, is Ms Michelle White, RCSI and Beaumont Hospital, pictured with Mr Patrick Buckley, Boehringer Ingelheim Ireland. 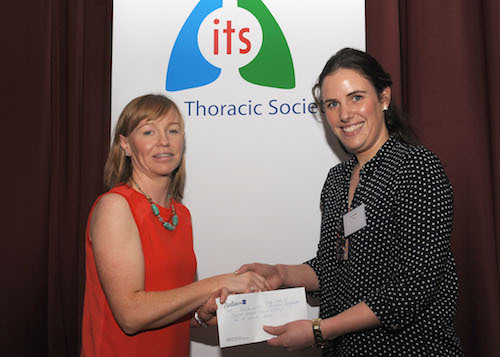 The ANAIL Award for Best Presentation by a Respiratory Nurse was collected on behalf of Rosaleen Reilly in Our Lady of Lourdes Hospital, Drogheda, for her work Oxygen Therapy Clinic (OTC) An 18 month Review.